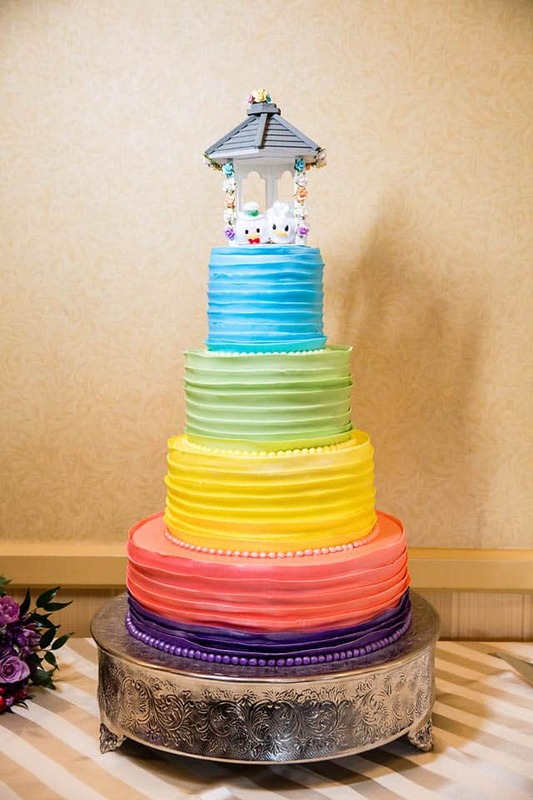 This towering, four-tier wedding cake commands the attention of any room with its vibrant rainbow colors. From deep purple at the bottom to sky blue on top, each layer is as lively as the next. 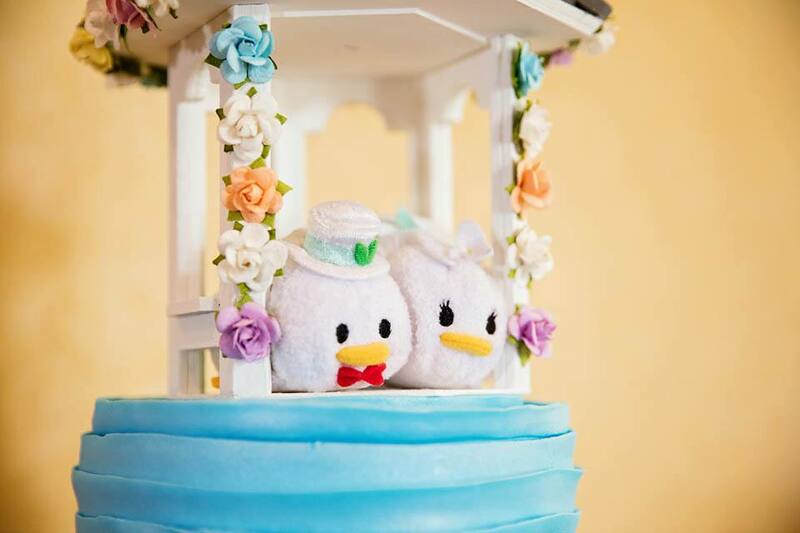 To top it all off is the cutest little Tsum Tsums of Donald and Daisy Duck, dressed in their Sunday best. 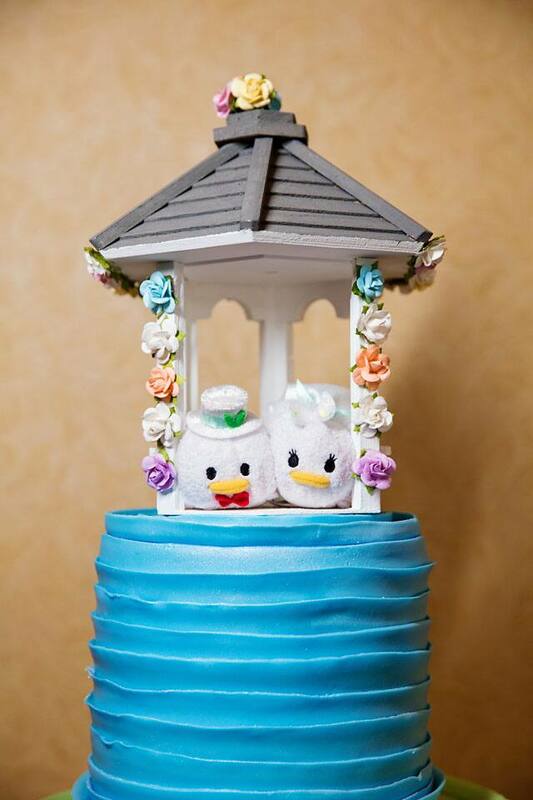 The plushes sit under an adorable miniature replica of the gazebo in Disneyland's Rose Court Garden complete with tiny matching rose décor.